Marisa Tam was born and raised in the Twin Cities and graduated from the University of Minnesota before heading out to Los Angeles to pursue a career in TV writing. 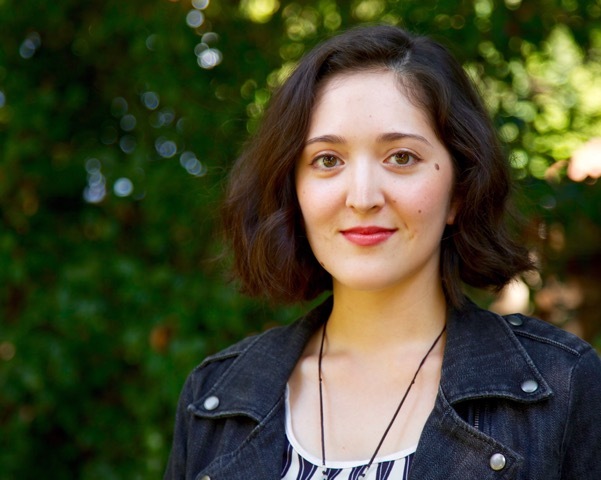 She completed UCLA’s inaugural Professional Program in TV Writing and was later selected for the 2015 CAPE New Writers Fellowship and the 2015–2016 class of NBC’s Writers on the Verge. She is now in her second season as a writer for The Blacklist, starring James Spader and Megan Boone. T. A. Wardrope (TCG): What brought you to The Blacklist? What about the show appealed to you? Marisa Tam: I did a program called NBC’s Writers on the Verge, which is an initiative from the network to train writers who are almost ready to be on a writing staff as well as an effort to increase diversity among writers for NBC and Universal shows. At the end of the program, the NBC folks sent the script I wrote in WOTV to the shows that were looking for new writers. It caught the eye of someone at The Blacklist, and they brought me in to meet with Jon Bokenkamp, the creator and executive producer, who liked me well enough to hire me. I wasn’t a viewer of the show before someone at NBC gave me a heads-up that I was in the running for a job, so I had to watch three seasons over the span of a few weeks. But that race-against-the-clock marathon to get up to date with the show showed me the sheer breadth of James Spader’s abilities as an actor and the wide, ambitious variety of crimes and action sequences the show tackles on a regular basis. It was both daunting and an exciting prospect for a baby writer staring down her first paid writing gig. TCG: Did you do any background reading or research into other shows or films or did you approach this as a “blank page”? Marisa: My research tends to be more in the vein of weird news: articles about unusual jobs or brain disorders or missing nuclear weapons, of which there are more than you’d like there to be. We’re always looking for new sandboxes to play in that would give us either a weird backdrop for an episode or a persona for the Blacklister or even someone who provides a service to the criminal world—a venture capitalist for criminal endeavors, for example. But sometimes the bosses like something from another show or from ’80s or ’90s movies that will be the framework on which we build a Blacklist episode. We were even once asked to try structuring an episode like an hour-long When Harry Met Sally. TCG: Can you talk about the process in the writers’ room? The show can be fairly intricate, and I’m curious how that works itself out with the writing team. Marisa: This show works differently from a lot of other shows, where the writers will be together in a room for most or all of the day. The showrunners, Jon Bokenkamp and John Eisendrath, generally figure out a story arc for a section of the season and pitch it to the room, which consists of 12 writers right now—though last year, we had 15! Then the writers pitch episodes that fit into that arc, and Jon and John run a “mini room” with a couple other upper-level writers, bringing individual writers in to break stories as they fit episodes into that arc. What that means for the rest of the writers is that we tend to work in smaller groups to flesh out ideas before the showrunners hear them. The structure of the show can be pretty complex, but there is a loose formula, which helps when we’re coming up with stories. 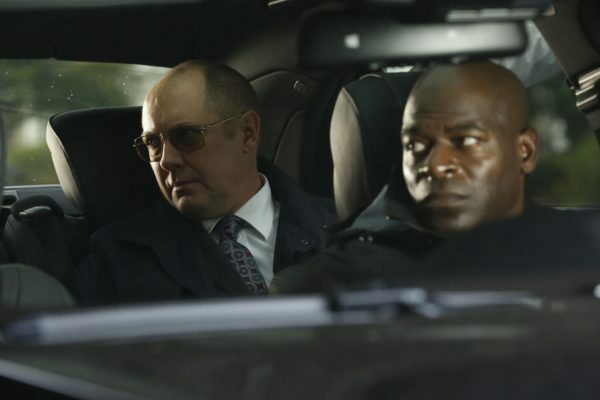 Generally, James Spader’s character, Red, brings a case to the FBI that presents as something like a kidnapping, but by the episode’s midpoint, the FBI team discovers that it wasn’t a kidnapping but a jailbreak, because the kidnap victim arranged her own abduction. So sometimes we’re essentially coming up with two different ideas and trying to find a fun way to connect them through an interesting twist. Plus, we also have to fit a couple of action sequences in there somewhere, along with any smaller character storylines that need to be serviced. It can be a really difficult thing to do, but that’s why it’s great to have other writers to talk through the plot snarls—if I were trying to write this show without help, I probably would have put my head through a wall by now! TCG: The show sits at an intersection of crime drama, tech thriller, and superhero science fiction. How do you feel about that? Are you inclined to any specific genre elements? 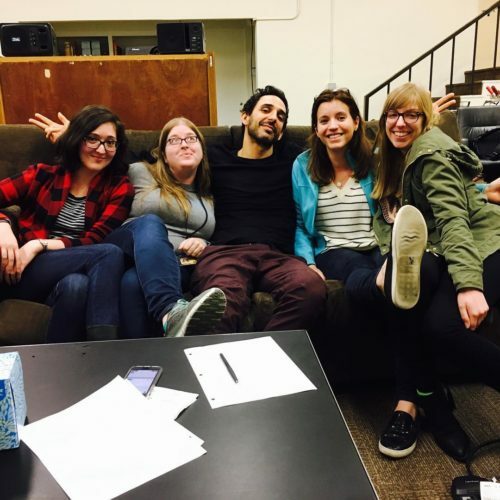 Marisa: I grew up on a lot of crime shows, but we were also loyal viewers of Star Trek: The Next Generation and Voyager, and stuff like Xena, so I hold a lot of different genres near and dear to my heart. The Blacklist is pretty grounded in comparison, though we definitely bend the rules on science that isn’t quite real yet and characters who do things like take off their noses at the end of the day. But I like that the show is wide ranging, because it gives us the opportunity to explore different worlds and the criminal possibilities that come from each of them. It also gives me a chance to use a lot of the disparate, random knowledge that I’ve accumulated, even if it’s just to write a monologue for Spader about a tidal causeway. Personally, I’m a fan of the many varied superhero shows on the air and streaming these days, just because they give us a different spin on the world we know. In the most pretentious of terms, superheroes allow us to examine humanity through those whose abilities often interfere with a so-called normal human experience, and the ways they struggle to retain their humanity or abandon it when they discover they’re superhuman. And now I’ll go put my liberal-arts degree back on the shelf where it belongs . . .
TCG: Any advice for aspiring writers? Marisa: First, it’s tough to be a good creator without also being a consumer. The more stories you take in—whether it’s books, movies, TV, theater, comics, or anything else—the more you learn what works and what doesn’t, which is invaluable when you start thinking about your own stories. And it sounds a little obvious, but write. No matter how bad the first draft is, and it’s always bad, it’s better to get words on the page first, then go back and make it better. Writing is hard work—and it doesn’t get any easier even when you get paid to do it—but, like any exercise, the only way you get stronger is through practice. And I don’t know if it’s at all interesting to anyone but me, but: when I first moved to LA, every third person I met was from Minnesota, from a coworker at a production company to the cashier who recognized my reusable Byerly’s bags. At this rate, Minnesotans will be running Hollywood before too long! 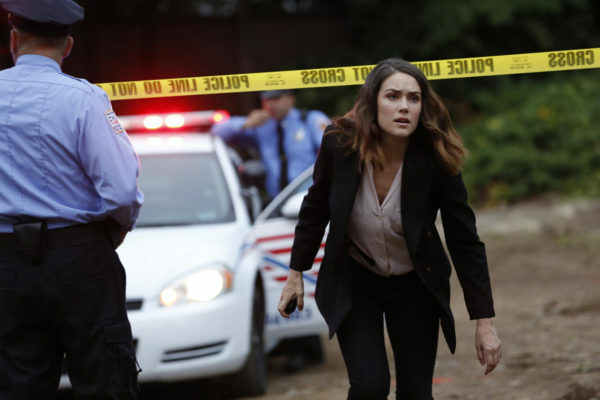 The Blacklist airs Wednesdays on NBC. 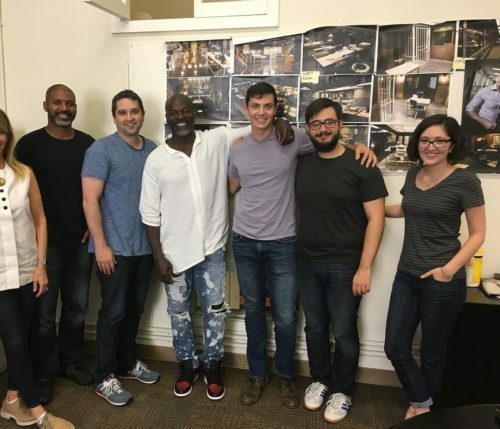 You can follow Marisa Tam on Twitter at @MarisaTam and the Blacklist writers’ room at @BlacklistRoom.